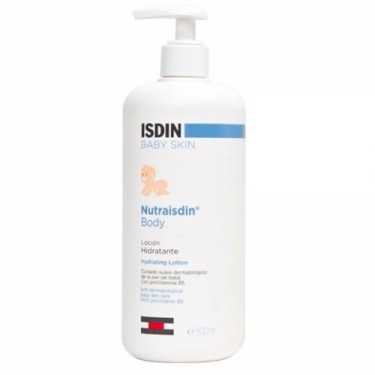 DESCRIPTION: Nutraisdin Hydrating Lotion from Isdin is a very moisturizing lotion for newborns, who need a specific protection of their fragile and delicate skin. 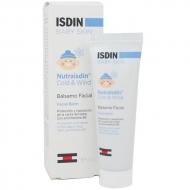 With a mild fragrance and light texture that is easily absorbed, this moisturizing lotion can be used from the first day of your baby's life and throughout his childhood. The formula is rich in emollient ingredients, while still being very easy to apply, leaving no greasy residue behind. 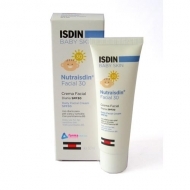 Dexpanthenol helps to nourish the skin and increase the natural protective barrier to ensure the skin stays hydrated. Apply on clean and dry skin throughout the body with a gentle massage until complete absorption.